By Rachel Held Evans, on July 10, 2012. 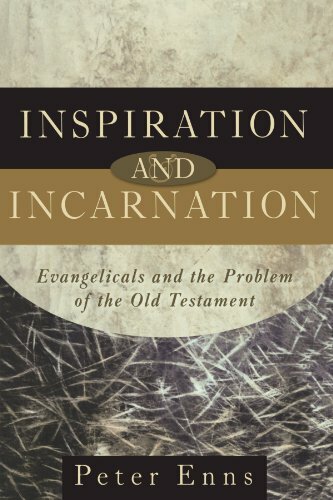 Today we continue our discussion of Peter Enns’ excellent book, Inspiration and Incarnation, as part of our series on learning to love the Bible for what it is, not what we want it to be. This week, with Chapter 2, we get an up close look at the ancient world that produced the Bible, particularly the ancient Near Eastern (ANE) literature shaped much of its content. Enns first highlights the impact of Akkadian Literature, which likely predates the biblical text and which includes creation and flood accounts remarkably similar to those we find in the Bible. (If, like me, you had a mini faith crisis in Intro to Ancient Literature after reading Enuma Elish or Gilgabmesh, you will know exactly what he’s talking about.) He also notes the similarities between The Code of Hammurabi and the laws found in Exodus, between Hittite suzerainty treaties and Deuteronomy, and between the Egyptian instructions of Amenemope and the book of Proverbs. He then points to archeological finds such as the Tel Dan inscription and the Siloam Tunnel Inscription to highlight the likely historicity of King David and Israel’s monarchs as well as similarities in how ancient people reported historical events. I won’t get into detail here, but I strongly encourage those unfamiliar with ANE texts to study this chapter, which will serve as something of a reality check regarding the context in which the Bible was written and the worldview it shares with the sacred texts of other ANE cultures. These similarities raise some important questions: Does the Bible report historical fact, or is it just a bunch of stories culled from other ancient cultures? What does it mean for other cultures to have an influence on the Bible that we believe is revealed by God? If the Bible is a “culturally conditioned” product, what relevance does it have today? Can we really say that the Bible is unique? Can really say it is the word of God? In the midst of all this, “the doctrinal implications of the Bible being so much a part of its ancient contexts are still not being addressed as much as they should,” says Enns. He proposes a new way forward, beyond the liberal/conservative divide that involves adjusting our expectations about how the Bible should behave. Enns proceeds to do just that by helping the reader adjust his/her expectations regarding: 1) the creation and flood accounts, 2) customs laws, and proverbs, and 3) monarchy. Today I want to focus on the creation and flood accounts, because they provide perhaps the best (and most controversial?) example of what it means to adjust one’s expectations when it comes to reading Scripture, a critical part of learning to the Bible for what it is, not what we want it to be. In other words, the author is making a theological point, not a scientific or historical one. Enns reminds the reader that the worldview described in Genesis is a decidedly ANE one, portraying the earth as a flat disk supported by pillars, with water above and below, and a solid, fixed firmament. This is how Abraham would have understood the universe, how the writer of Genesis would have understood the universe, and how the first storytellers, readers, and listeners of Scripture would have understood the universe. It is therefore coutnerproductie to try and impose our own advanced (and yet, in the grand scheme of things, still limited) assumptions regarding cosmology onto the text. And again we are reminded of Christ—the fullest and most complete revelation of God—who did not consider equality with God something to be grasped, but humbled himself and became like us. If God is willing to put on human flesh in order to communicate to us, why wouldn’t he be willing to speak human languages—complete with human literary devices and human words and human cosmological assumptions—to communicate? In college I was trained to fight against this view of Scripture with every fiber of my being, and yet, when I began seeking a more intellectually honest faith, it was this view of Scripture that finally released me from gripping fear and doubt. I had been asking questions that the Bible didn’t answer. I had been forcing onto it my own modern, Western assumptions. I had been trying to explain away every possible contradiction, every historical or scientific "problem," in order to force the Bible into my own predetermined paradigm. I believed that in order for the Bible to be God’s word it had to conform to my ideals of historical and scientific proofs. It was a bit like demanding that Jesus be fully human without getting thirsty, or without sleeping, or without assuming a language and ethnicity and gender. And when the Bible didn’t perform as I expected it to perform, I nearly lost my faith. So, what do you think? Have you had to confront the similarities between the Bible and other ANE texts? What is your reaction when Genesis is described as “myth”?